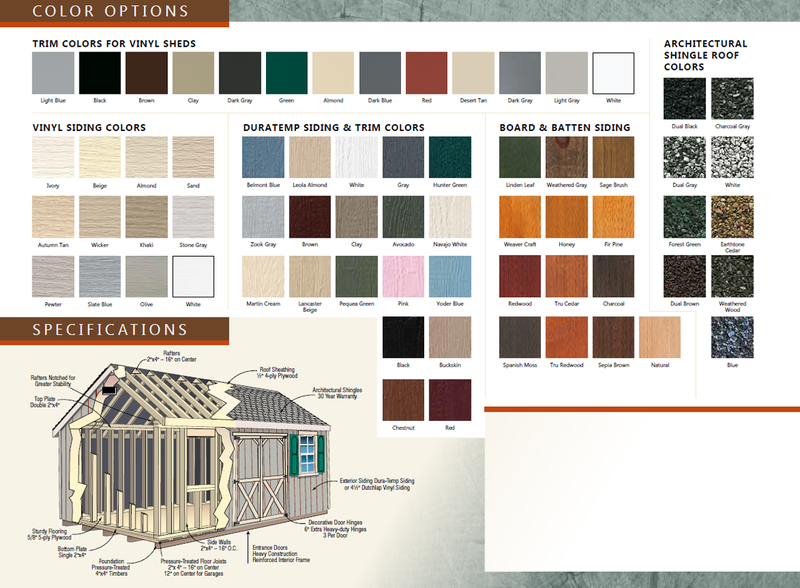 Featuring designs with extended overhangs for added shade, the Keystone Series can be built in the Quaker style with Duratemp siding and a weathered roof, an A-frame design with an earth-tone cedar roof and brown siding. 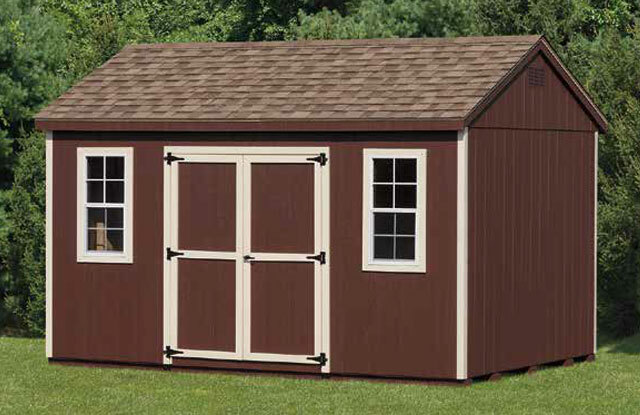 Selections from this series also include the following Smart Shed standard features: smart panels with OSB backing primed and ready to paint, 2×4 16″ on center P.T. 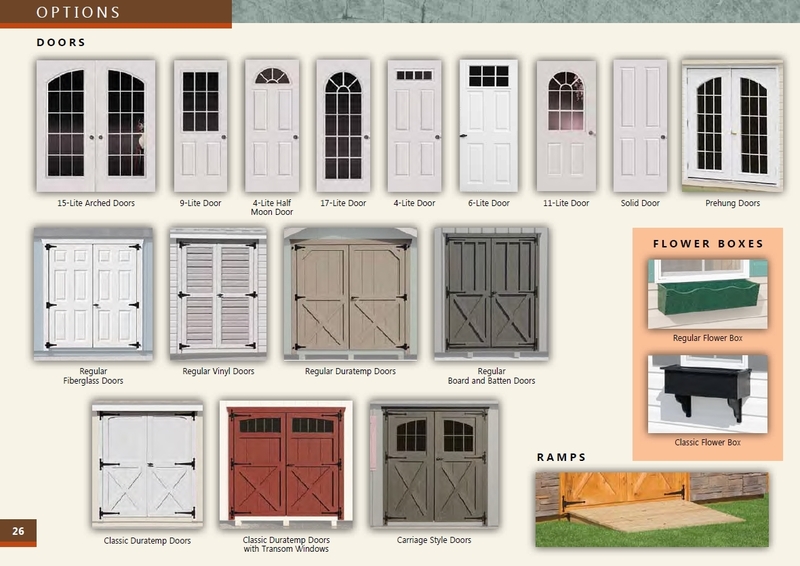 floor joists, double doors, and on-center framing. 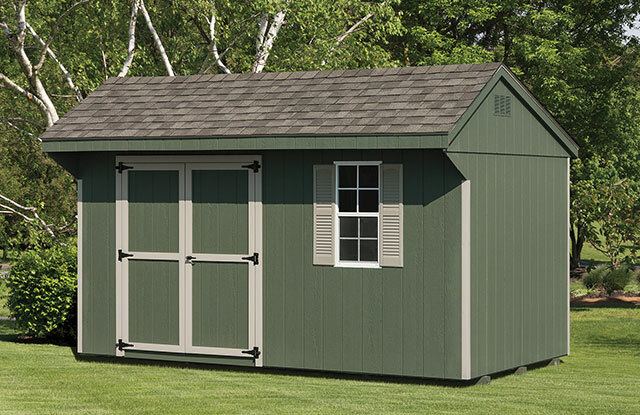 This series also includes a Firewood Storage Shed that holds one cord. 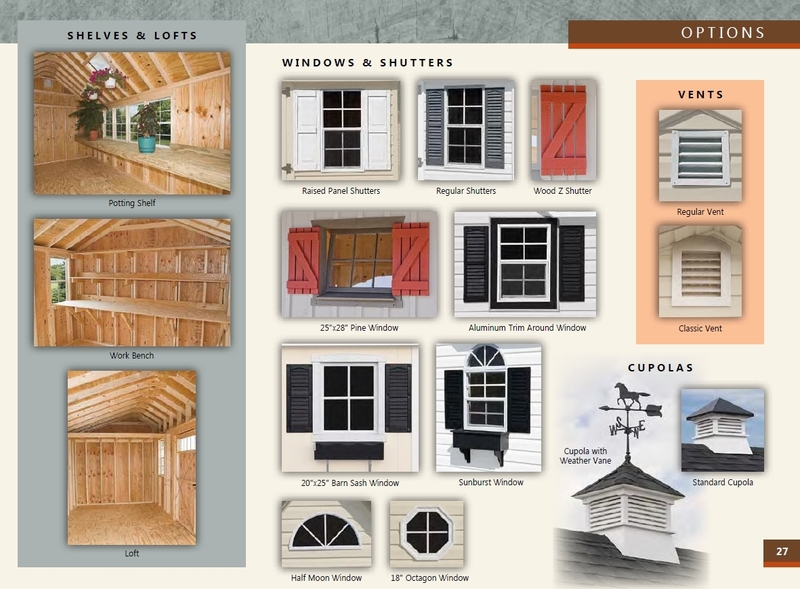 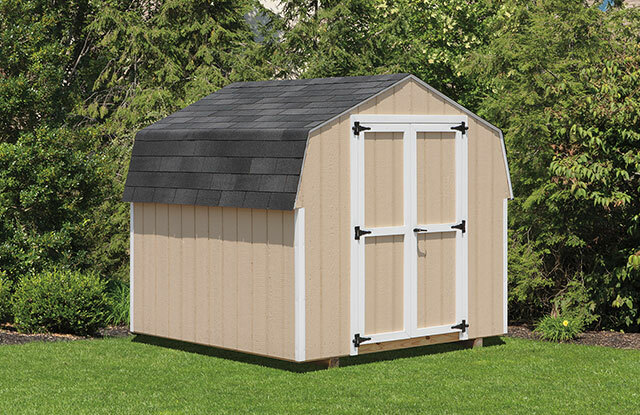 Three-tab shingles are among the available options with these sheds.